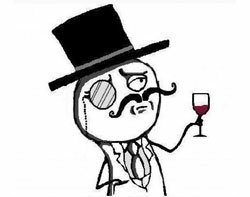 Hacker group Anonymous and offshoot Lulzsec have started releasing secret information they claim to have stolen from servers of the CNAIPIC Italian cyber crime unit about the protection of critical national infrastructure. A tweet by AnyonymousIRC pointed to reports of the attack: " #AntiSec strikes at Italy Government. Silent no more," the tweet concluded. Links to previews of what the hacker claims to be 8GB of files have been published on file-sharing website Pastebin. "This is a pre-release of a series we are going to make to reveal the biggest in history of European LE cyber operation evidence exploitation and abuse. Thing's gonna get published and twittered all over anonymous and lulzsec community," the posting said, written in its own hackers' vernacular. The theft of data from CNAIPIC is part of the groups' AntiSec campaign apparently aimed at what members consider to be corrupt organisations, and is believed to be in retaliation for the arrest of Anonymous members in Italy. "This corrupted organisation gathered all the evidence from the seized property of suspected computer professional entertainers and utilised it over many years to conduct illegal operations with foreign intelligence agencies and oligarchy to facilitate their lust for power and money, they never used obtained evidence to really support ongoing investigations," the posting said. The hackers claim the stolen documents include information from the Egyptian Ministry of Transport and Communication, Australian Ministry of Defence, US Departments of Agriculture and Justice, and the Nepalese Ministry of Foreign Affairs. Earlier this month, Anonymous hacked and defaced Turkish government websites in protest against internet filtering rules to be introduced in Turkey in August and claimed to have accessed NATO servers as part of the AntiSec campaign.